Have you been experiencing a lull in your lead follow up strategy lately? Are leads hard to get a hold of and do they drop off the face of the earth after that first voicemail? It can be really difficult to deal with the vague rejection that comes from a lead lost. However, you continue the outreach in order to close that deal and find your clients their dream homes. So, What is the Rule of Three? Contact the lead three times a day for three days. Contact the lead three times a week for three weeks. Contact the lead three times a month for three months. Sounds simple, right? You'd be surprised how many agents give up after just one or two calls only to miss out on great opportunities to gain new clients. This strategy will ensure you are top of mind when your lead thinks of buying a home. Does this many personal touches sound like too much contact? Are you worried your lead is going to tell you to buzz off? People are busy, and the likelihood is that they have a million other things on their plate on top of searching for a possible new home. Don't get discouraged by their busy schedule. It is your job to make and establish a meaningful connection with the lead in which you can provide listings that meet their needs to eventually sell them a great home. Doing so requires you to follow up and keep reminding them that their dream home could be out there around the corner and the price just went down! All you have to do is make those personal touches and eventually they will see a listing that catches their eye. The keys to the Rule of Three lead follow up strategy that differentiates it from your normal sales pitch is the immediacy and consistency of contact, as well as the service mindset. The service mindset should permeate every touch you make with your lead. Focus on how you can help your lead. This will work subtle wonders on how your lead interprets your interactions and expedite the trust they will put in your services. There are abundant potential leads out there! You just need to make the connection and provide suggestions catered toward their specific home search. How can you identify what your leads are looking for and how can you provide the most helpful and appealing listings? Without a CRM that offers that visibility, you're limited to trying to piece together as much information as possible from separate tech stacks to build an accurate picture of your leads. It is difficult to understand which homes they have viewed recently and what they might be interested in that they haven't seen yet. CRMs offer greater insight into the online behavior of leads to show you how you can help them best and gain their trust to find a perfect home for them. 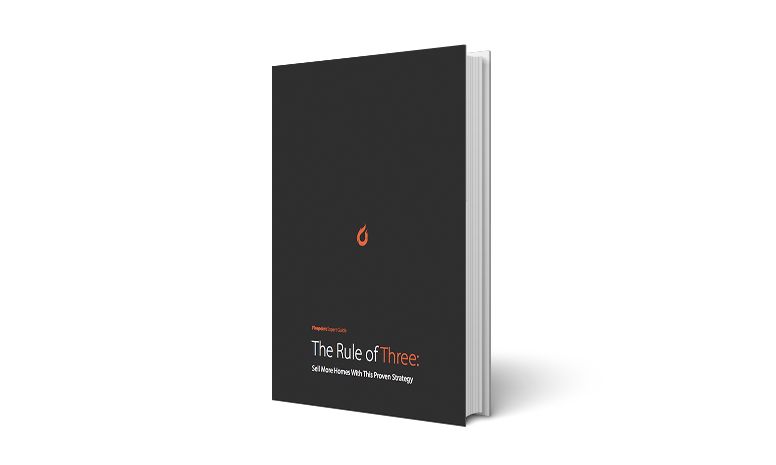 Read more about how to explicitly enact the Rule of Three into your daily lead follow up strategy. This will drastically increase your likelihood of closing more deals and will leave your leads feeling extremely positive about their interactions with you. If you are experiencing a lull, break out of it! If you are succeeding, but looking for an additional edge, look no further! Try this strategy and see how it improves your results.